I hope the new year has started off wonderfully for all of my lovely readers. So far, 2011 hasn't been too bad for us, although we didn't win the three hundred fifty-something million last night in the Mega Million lottery...boy would that have started our year off with a bang! I am overweight. No, I am OBESE. Ugh. It's true. THAT is why I need to change me. And so begins my Wednesday Weigh-Ins. Over the course of the next year I plan on losing at least 60lbs. That is a little more than 1lb a week, and seems very attainable to me. I will mostly be dieting, but I hope to find some exercises that I can do at home for the winter and I plan on walking when it is warmer. Thighs- L- 27" R- 28"
Sigh.....lots of work to do! I will post my measurements and pictures the first week of every month, and weights every Wednesday. I would love for some of my readers to follow my journey and maybe even join in! If you are interested in joining in, or just sharing, here is a button you can use! You can do it!! I'm doing it too - over at Win lose or blog. It officially starts the 10th - and you win prizes for commenting and following along! Wishing you the best! ..and am following your blog now because I can't wait to see your progress! You can do it! We both can and will! You CAN do it!! It won't be easy, but just find motivation anywhere you can :) Maybe I will join in the linky too! Thank you for sharing, I know that must have been hard. I am way too big of a chicken, I admire you! You can definitely do it!!! Oh I'm right there with you! 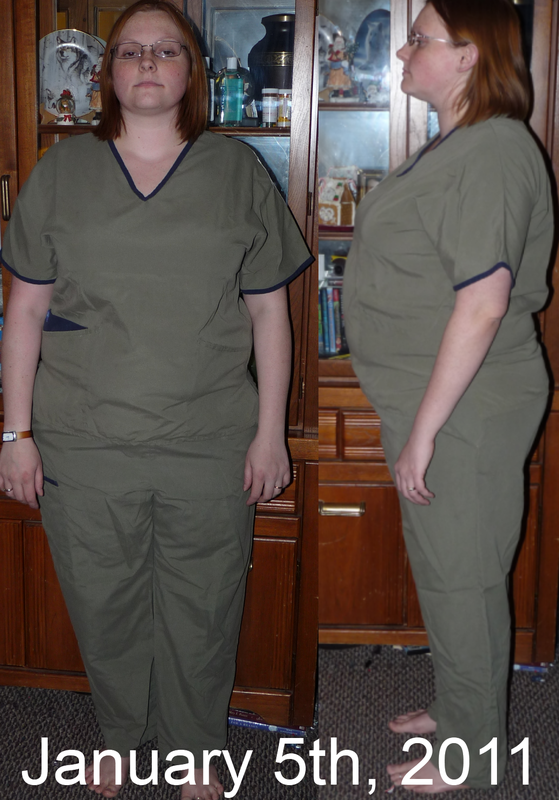 I just started a new blog for my 2011 goals and just like you, one of my goals is to lose 60 lbs this year. i weigh every tuesday and it has been a great adventure thus far. look forward to seeing your transformation!